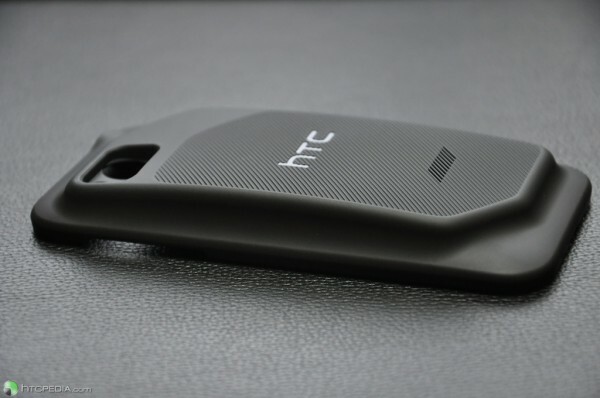 The HTC Rezound still has not been announced, but the official accessories for it are everywhere. The folks at HTCPedia found some time to explore the extended 2750mAh battery which everyone that buys this phone will likely need to pick up. And no, that’s not a knock on HTC, it’s a knock on 1st gen 4G LTE technology that continues to frustrate us all. There are rumors of poor battery life with the Galaxy Nexus and we are assuming that this phone will be no different. So you know, we probably won’t see LTE devices with excellent battery until some time next year. That’s just the way it is. Now, with all of that said let’s jump into this battery. So HTC went 2750mAh on us while producing a back piece that was actually designed to not look like someone just slapped a brick on your phone (yes, I’m talking about the Thunderbolt). It really isn’t that bad. Sure it will add some bulk to your phone, but at least they kept up with the original Rezound design. The standard battery that comes with the device is expected to be 1620mAh, so again, you are going to want this extended version.